LAFAYETTE, La. (April 15, 2019) – LHC Group, Inc. (NASDAQ: LHCG) today announced details for the release of its results for the first quarter ended March 31, 2019. 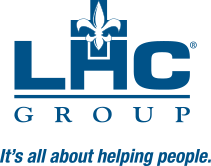 LHC Group, Inc. is a national provider of in-home healthcare services and innovations, providing quality, value-based healthcare to patients primarily within the comfort and privacy of their home or place of residence. LHC Group’s services cover a wide range of healthcare needs for patients and families dealing with illness, injury, or chronic conditions. The company’s 32,000 employees deliver home health, hospice, home and community based services, and facility-based care in 35 states and the District of Columbia – reaching 60 percent of the U.S. population aged 65 and older. LHC Group is the preferred in-home healthcare partner for 350 leading hospitals around the country.